Hot dogs are becoming the unlikely symbol for overcriminalization in the United States of America. More specifically, the heavily codified permit system which profits the state and harms small business owners. On September 9th of this year a man was selling hot dogs on the street in Berkeley without a permit when campus authorities approached him and took money straight from the vendor’s wallet. While law enforcement said that the money was evidence, the action is representative of the larger issue at hand. A few years earlier and across the country, Steve Pruner was in a similar situation when he was thrown in jail for selling hot dogs on the street and failing to acquire a 175 dollar permit.There were no complaints about his food making anyone sick, however, he was thrown in jail for not having a permit. North Carolina laws include in their provisions that failure to comply with regulations is a criminal offense. Meanwhile in Charlotte, North Carolina, “Tokyo Grill and Buffet” is still up and running after employees were caught on video peeling onions and doing other food preparation right near a dumpster. The restaurant does not appear to have been punished with anything more substantial than a slap on the wrist even though they were in direct violation of multiple aspects of North Carolina health codes. The difference between these two cases? Purner’s violation caused the government to miss out on some money whereas the restaurant had paid the government’s licensing fees. One man was put in jail even though there was nothing unsanitary about his food production while the others were barely impacted at all even though preparing food near a dumpster is an obvious health hazard. Comparing these two cases side by side raises the question of whether or not complicated and expensive licensing processes make food any safer. Legislators in North Carolina have proposed a bill that would create a commision to recodify the state’s criminal code making it simpler for North Carolinians to understand and obey the law. Overbearing licensing processes as well as complicated wording of the laws are the two biggest issues at the state level. The commission would seek to eliminate these challenges by clarifying laws and establishing mens rea requirement for certain crimes. 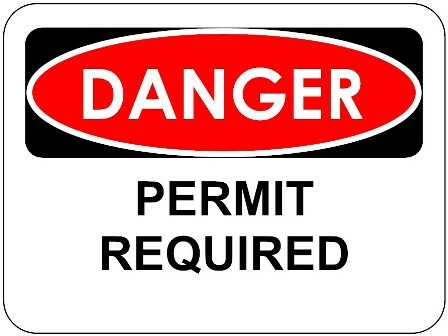 The North Carolina state licensing process, as it stands, turns small business owners into criminals for failing to adhere to an unnecessarily complicated set of requirements that are set before these Americans. This is symptomatic of the larger overcriminalization problem in America. There are over 400,000 different acts that the average citizen can be sent to jail for in this country. Is it reasonable to expect Americans to know and understand all of this without a legal background? Regulatory crimes do not require mens rea, therefore, it’s essential that criminal codes be made simple enough for citizens to understand. Otherwise, your average well-intentioned American isn’t too far from a jail sentence. North Carolina is on the right track to simplifying their criminal code so it is more easily understood by all. These simplifications are long overdue, however, since the section about criminalization is buried under other propositions that have nothing to do with it, there’s a good chance that it won’t come to fruition. It is crucial that overcriminalization be made a priority. Punishing small business owners for not having the legal know-how of a seasoned lawyer is Un-American and getting the criminal code simplified needs to be a top priority. The movement to pass measures of criminal justice reform in Washington has sprung to life in the 115th Congress in recent days. In the Senate, conservative champions of the issue have reintroduced legislation that has garnered bipartisan support in past Congresses. Liberty Kitty has learned the hard way that overcriminalization and excessive regulation ruins lives and hurts the economy. She was prevented from grooming neighborhood kittens because she did not have the time or money it would take to become licensed, and she was incarcerated for 7 cat years under a mandatory minimum sentencing law for a non-violent crime. It’s that time again. Another day, another we-need-to-add-multiple-amendments-before-reauthorizing-a-bill moment. Currently, the Senate is moving to pass the FAA Reauthorization Act of 2016 (S.2658), which would grant the FAA funding through September 2017. During this process, however, senators like Sen. John Thune (R-S.D.) and Sen. Maria Cantwell (D-Wash.) have taken the opportunity to squeeze in additional measures by way of amendments as they rush the bill to the floor.